The 2018 Suzuki Burgman India Launch next month. Our regular readers will be aware of the fact that Suzuki Motorcycle India Pvt Ltd is planning to launch new vehicles at the upcoming 2018 Auto Expo. Just yesterday we shared a report on the upcoming 150 cc scooter by the manufacturer expected to be the Suzuki Swish. Suzuki intends to regain its position in the commuter and premium segment with the introduction of brilliant products like the Gixxer SF and upcoming scooters from the brand. Suzuki Motor India Pvt Ltd has been spotted testing a brand new scooter i.e. the 2018 Suzuki Burgman. 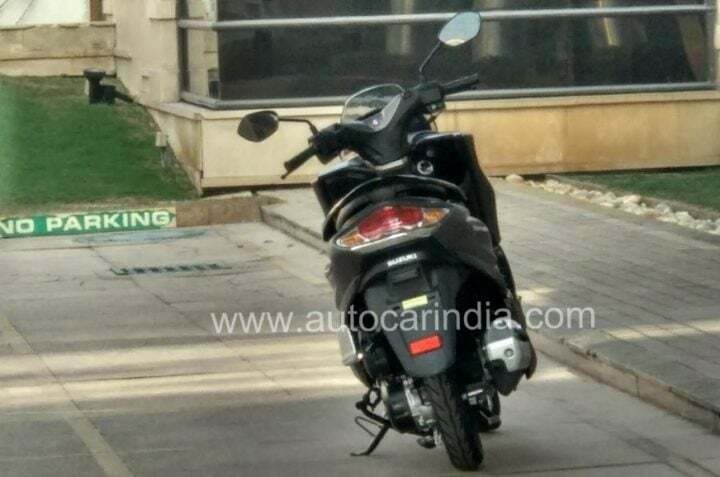 Autocar India managed to get their hands on the first spy images of the upcoming scooter for the first time in India. Read on to know more about the upcoming premium scooter. The upcoming 2018 Suzuki Burgman will be the second maxi-scooter to go on sale in India since Kinetic Blaze. The scooter will be laden with tech and is expected to offer, amongst other things, a fully digital instrument cluster. Cycle parts include telescopic front forks, taller wheels, disc brake at the front and twin shock absorbers at the rear. Other key features of the upcoming maxi-scooter include a multi-function key slot, generous under seat storage, 12V charging socket, tubeless tyres, front windscreen, LED DRL with LED headlamp and LED tail lamp. As per the Indian government norms, any vehicle above 125cc is supposed to offer ABS as standard and if Suzuki actually launches the Burgman Street 150, it will feature ABS too. If they bring in the 125cc variant, the company can simply offer a Honda like combi-brake system for additional safety. Stay tuned for latest news updates on 2018 Suzuki Burgman India Launch Date and Price.